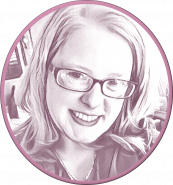 BLOG: Judas – Did He Have a Choice? Judas – Did He Have a Choice? In the first fifteen minutes of the sermon Judas from Pastor Steve Wilson, we dive into John 18 and breakdown the very ordinary life of Judas Iscariot, the betrayer of Jesus Christ. I grew up conflicted about this man and his story. He seemed so sorry at the end of his life. He committed suicide for crying out loud! Isn’t that a contrite heart? I’m not going to answer that question this week. For more insight into the mind and meaning of suicide itself please listen to Pastor Wilson’s message Suicide. Today we are going to back up and firmly ground ourselves in God’s words and doctrinal concepts before we let our culture and emotions tell us the answer to whether or not Judas actually had a choice. In John MacArthur’s book Twelve Ordinary Men, he writes a chapter on Judas. He was an ordinary man called by Jesus and chosen to follow just like the other eleven. His name is always mentioned last in the Bible whenever the disciples are listed and he is always identified as the “betrayer”. He was a sinner because he was born a sinner, like all of us since the fall of Adam. We are not born innocent, eventually poisoned by others. Christ is the only one born innocent. It is our own wicked hearts that attempt to move us away from our Maker and get us what we desire that is the root of all our sin from the moment of our first-cry until our death. A child may not be able, on their own, to cognitively move away from their own self-gratification until they get what they want. He or she can be behaviorally motivated or temporarily conditioned to outwardly refrain from expressing it, lest they find themselves in a situation less desirable. While it is a parent’s responsibility to raise up a child in the way they should go, it is not even remotely a guarantee of success. A well-behaved child is not necessarily a more spiritual being indicating more spiritual parents who have done a more noble job than others. On the flip side a child who makes awful mistakes isn’t necessarily a less than worthy being, born to low-class, low-spiritual parents. A child’s heart and soul are their own, moved and molded; ultimately by their Maker. We don’t know, but it is possible that Judas was born to the most upright and Godly parents in Carioth. Judas himself may have rarely stepped a toe out of line, but God still needed him to betray the Son of God so that the kingdom of Heaven could be open to those who would be saved. This ultimately resulted in the glory of God. Judas was most certainly chosen for this task, not as an afterthought but before the earth was formed. God didn’t leave the most important event in human history to off-chance, random circumstances or even human decision. I know it is a difficult thought but God desired Judas to follow this path more than God desired Judas to be in heaven. Pastor John Piper provides an authoritative lesson to help us understand why God will “choose who will be saved and who will be passed over and left to unbelief and rebellion.” God Has Chosen Us in Him Before the Foundation of the Earth. Doing the job(s) you will be presented with to help bring other believers into the kingdom. So many believers saddle-up to the “jobs” they can do under their own effort but the part where they actually have to admit God is totally sovereign with no caveats is an affront too far. Make no mistake, this is the only way to give God true glory. Ask Job about the loin-girding he had to endure to understand this concept. If people ACTUALLY believed that they could choose to save themselves, we wouldn’t live in this multi-billion dollar help-me-lift-myself-up–culture. People instinctively know they are helpless and see Christians who say, “All you have to do is make a choice”, as dismissive and more insane than they already feel. Unbelievers aren’t stupid! Judas actually got publicly outed by Jesus at the Last Supper. Kind of an altar call if there ever was a real one that mattered, wouldn’t you say? 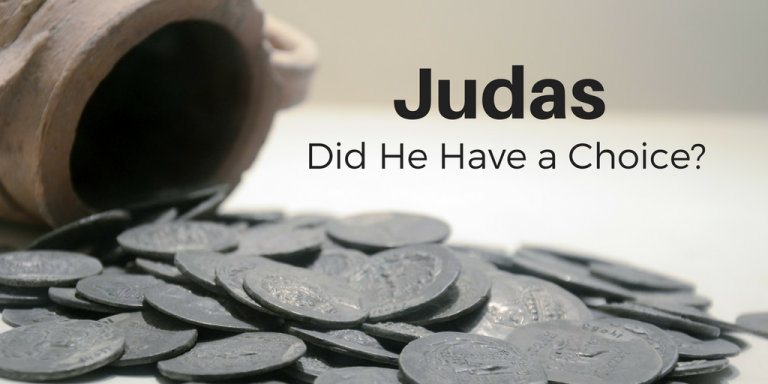 Did Judas feel guilt, remorse or even regret? Who knows, but I kind of doubt it. What we do know is that he knew Jesus was calling him out and he didn’t run or deny it. I think Judas was all in for the betrayal. He did not hate his sin in the least. He’d pilfered the group’s money and now he and Jesus knew what he was about to do. It’s not like he was deluded to the certain divinity and incredible power of Jesus Christ, Son of the Holy Living God of all Creation. He was simply in disbelief of eternal matters declared to be true. Was he jealous of Jesus? Did he hate God? Paul Washer once said, “That if the gates of Hell were thrown open no one would come out!”. Can you imagine such thinking? This is just an example of what John Piper was describing as “choosing who will be saved and who will be passed over and left to unbelief and rebellion.” Judas was an unbeliever. God decided this ultimate fate would be so for Judas and we have to accept this as believers. Next week we will look at the second half of Judas and see how sin is born and develops in the heart and mind of believers and what we can do to root it out before it causes destruction. Privately recorded sermons preached at Richpond Baptist Church, Bowling Green, KY 2007.